Find a car website Hamilton – Budds’ BMW Hamilton. 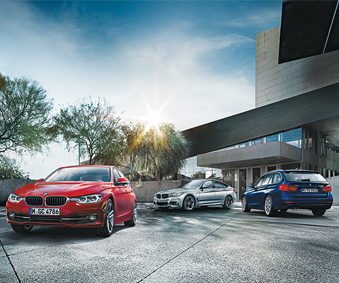 Visiting Budds’ BMW Hamilton’s online inventory allows you to be able to shop on your own terms. Our dealership lists new and pre-owned car inventories online, so you can find plenty of information and pictures on any vehicle you are wanting to look at. Budds’ BMW Hamilton also includes any incentive information and pricing on our website so that our customers can have all the information required to make an educated decision. When you want to find a car website Hamilton that has a huge inventory and allows you to shop on your own terms without hassle, Budds’ BMW Hamilton is that website. When you are visiting our online inventory on our Budds’ BMW Hamilton website, you will not have to worry about the being bothered by floor salespeople. We have provided our customers with a pleasurable online shopping experience that is very low pressure. Our customers also have the option to chat with a representative online if they do have any questions, but that is strictly up to the customer. Being able to compare prices of vehicles you find on different websites is also important in your car purchase process. You want to ensure that you are getting the best price possible for the vehicle that you want, and comparing prices across multiple websites is a good way to do this. If you are living in the Hamilton or surrounding area and you want to find a car website Hamilton that provides you with quality driving machines, and world class customer service, then Budds’ BMW Hamilton is the website for you. Please feel free to visit our online inventory if you are looking for a new or pre-owned vehicle. You can also contact us via phone or email.